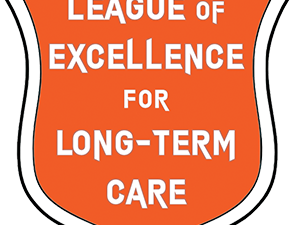 The League of Excellence for Long-Term Care 2019 is designed to meet the assessed needs of the Ontario long-term care nursing leaders. This four-part webinar series will share strategies and approaches with nursing leaders (Administrators, DOC, and ADOC) to support the delivery of high quality care in an environment promoting staff excellence and professionalism. The League will focus on developing leadership competencies, expanding professional knowledge, and preparing leaders for challenges and opportunities. The series includes bi-weekly webinars, taking place every other Wednesday, from Jan. 16, 2019 to Feb. 27, 2019. Registration is limited to one person per registration fee. Registration fee covers the four-webinar session. Related materials for each session will be provided electronically prior to the session. Cancellations will be accepted up to and including by January 4, 2019 at 4:00 p.m. EST, less an administration fee of $75.00. No cancellations will be refunded after this date, however attendee substitutions are acceptable at all times. RNAO reserves the right to cancel or reschedule this event. You will be notified of changes or cancellation and refund options. Upon registration, the registered attendee is agreeing to be contacted by an RNAO Long-Term Care Best Practice Coordinator (which corresponds to their LHIN). For more information please contact Citlali Singh at csingh@RNAO.ca.